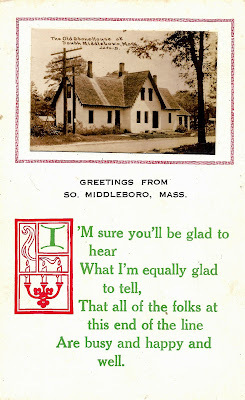 Join me this Saturday from 10 a. m. to 11.45 a. m. at Somethin's Brewin' Book Cafe in Lakeville where I will be signing copies of South Middleborough: A History. 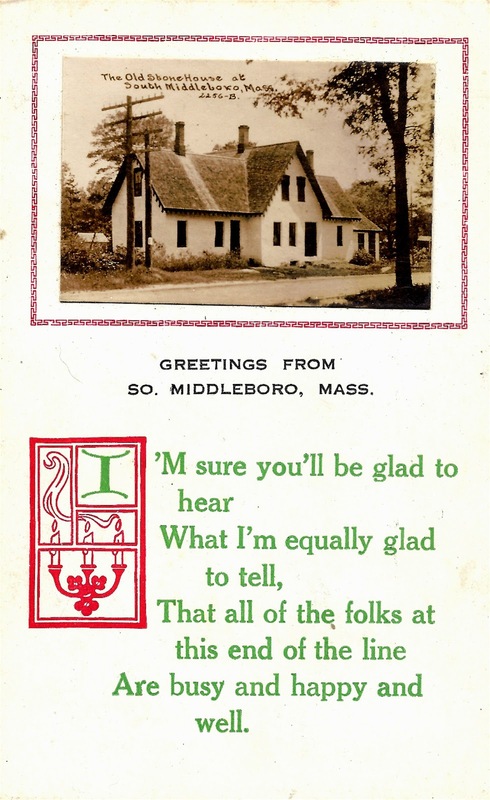 This postcard features a small photograph of the distinctive Stone House at South Middleborough. Long a landmark in the South Middleborough community, the Stone House was named for the material used in its construction.